You might hear the phrase “checkmate” roll off the tongue of the chess playing, ELA loving freshman Mallory Fee. Fee is new to LHS and ready to take it head on. Although she is new to the school, she is already involved. In school, Fee is on the newspaper staff and attends Anime Club. ELA is her favorite class so far this school year. Fee really enjoys writing and wants to pursue it in her future. 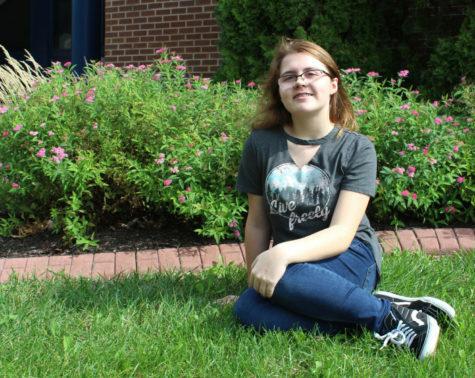 Her passion for writing is just one reason Fee joined the newspaper staff this year. Fee also has a passion for people. In her freetime Fee is usually drawing, writing, playing volleyball, kicking back and watching the show Supernatural, or playing chess. Although some may find chess challenging, Fee has been playing chess since she was young and has mastered the game. It’s not just her hobbies and passions that give her an individualistic spark. Mallory has many inspirations that make her the person she is today, her mom being one of them.